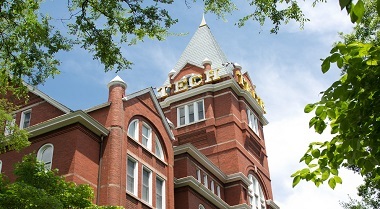 In 2016, Georgia Institute of Technology received permission from the state of Georgia to enter into a Guaranteed Energy Savings Performance Contract (GESPC) and receive a $7.7 million loan to tackle any energy and water conservation project it wanted—as long as the project could pay for itself within seven years. Donald P. Alexander, P.E., Georgia Tech’s facilities design and construction Institute engineer, and his project team, Greg Spiro, P.E., senior mechanical design engineer, and Ben Mason, associate director of energy, determined that the funding would make the greatest impact spent on improving the efficiency of the university’s two chiller plants. He put out a call for vendors to explore every possible efficiency measure. Optimum Energy performed a rigorous audit, and then scoped a project that would modernize and optimize the Institute’s two chiller plants and cut energy costs. The comprehensive plan included changing the pumping strategy, replacing two chillers, adding state-of-the-art upgrades, and installing Optimum’s OptimumLOOP® software and OptiCx® platform. On the first day, energy consumption dropped from 1.0 kW/ton of chilled water to 0.65 kW/ton across the combined 28,152 tons of chilled water. Alexander expects efficiency to continue to improve even as he expands operations, and Georgia Tech anticipates saving nearly $1.5 million a year in energy costs.